Ethiopia hosts the first leg of the Afcon 2019 qualifiers Group F double header against Kenya at Bahir Dar Stadium Wednesday. 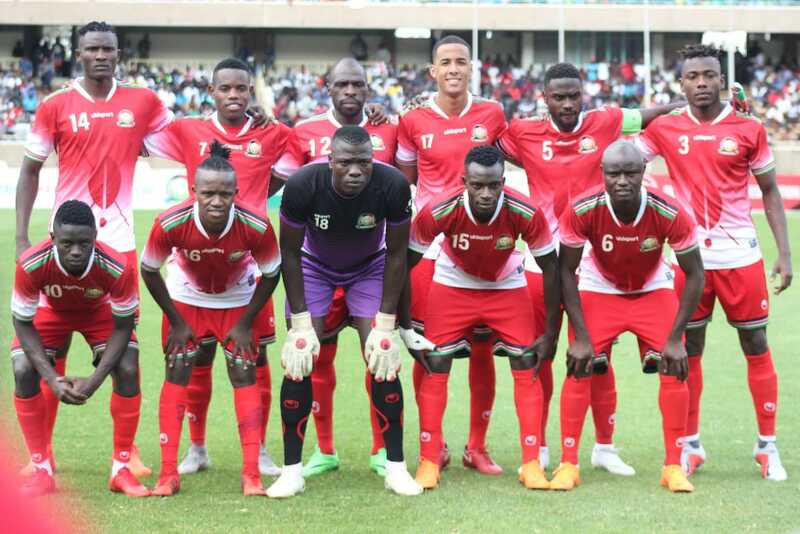 Kenya’s Harambee Stars have been in Bahir Dar since Monday and managed to train twice under tutelage of French manager Sebastien Migne in readiness for the crunch tie. The team traveled to the capital city of Amhara region in batches as financially crippled Football Kenya Federation (FKF) struggled to secure flight tickets for the players. There was no joint camp in Nairobi with foreign-based professionals flying directly to the port city from their bases to cut costs. The team has nonetheless put the troubles behind them and Migne is looking to build on the 1-0 win against Ghana in their last qualifier and enhance their chances of qualifying for the Afcon slated for Cameroon. “It is a very tough test especially away from home. Ethiopia at home is a very good team and their fans really give them a push so we know it will be no easy task. But our confidence is up and the players believe that this is a possibility,” Migne said. Stars received a major boost with the return of Tottenham Hotspur midfielder Victor Wanyama, who missed the victory against Ghana as he was still recovering from a long term injury. Also returning from injury and suspension is Maritzburg United defender Brian Mandela, who is expected to replace suspended Joash Onyango in the central defense role. Kazakhstan-based speedy winger Paul Were is another returnee, who is expected to add depth and pace in the team. With Sierra Leone failing to get their FIFA ban lifted in time to play Ghana in the other Group F fixture, Kenya will only need a maximum of four points against Ethiopia to qualify for the Afcon for the first time in 14 years. Ethiopia is coming to this game following a slender 1-0 win over Sierra Leone back in September at Hawassa International Stadium. The Ethiopian Football Federation decided to take the AfCON qualifier tie between the Waliyas and Harambee Stars to Bahir Dar, some 495 kilo meters away from the capital Addis Ababa. The Ethiopian national side squad roaster is predominantly comprised of locally based players where head trainer Abraham Mebratu summoned four players who ply their trade abroad. The squad is unchanged from the Sierra Leone game but added a few players to it. Adama Ketema midfielder Canaan Markneh, who has had a tremendous season in the Ethiopian Premier League, center back Temesgen Castro and experienced midfielder Shemkit Gugesa have been included to join the squad that will be facing Kenya. There has been injury concerns in the Waliyas camp. Saint George duo Behailu Assefa and Salahdin Bargicho are out of the Kenya clash whilst Natnael Zeleke and Asechalew Tamene recuperated well but needs further assessment. Coach Mebratu has decided against calling up other players in place of the injured ones. Attacking woes has been a headache for every Ethiopian national side trainer. The trend seems to continue under the reign of Mebratu as forwards squandered many clear scoring chances against Sierra Leone. Waliyas have worked to avoid such attacking proficiency setbacks against Kenya. “We were working on the drawbacks we faced in the Sierra Leone game so as we can rectify them and be the best against Kenya,” said Mebratu on Tuesday. The striking department possesses renowned forward Getaneh Kebede, Egypt based Omod Okuri and relatively younger strikers Abel Yalew and Dawa Hotessa. On top of that Coach Mebratu will bank on the current good form of Egypt based attacking midfielder Shemeles Bekele. Shemeles so far has bagged 6 goals in the Egyptian Premier League and will be expected to deliver something against Kenya. Coach Mebratu has said his team carefully analyzed Kenya’s game approach. Balls are thrown directly at Micheal Olunga. Olunga is a threat to Ethiopian defense henceforth it is expected that the two Ethiopian center backs Asehalew Tamene and Anetneh Tesfaye will be tasked to contain him. Closing down channels, applying more pressure on the Kenyan defense and seeing more possession will likely be the game plan of the Ethiopians. Following the banishment of Sierra Leone from world football the encounter between the two neighboring East African nations will be now crucial. Coach Mebratu rather believes it has no impact on this game. “We are only focused about Kenya. Our assignment is Kenya so we are concentrated on them. With the Sierra Leone suspension the group will have a different look but that will give an extra motivation to do good and give more 100%,” Mebratu told reports in Bahir Dar. Bahir Dar National Stadium will be hosting a continental game for the first time in 3 years. Ethiopia has not lost or drawn any duels in Bahir Dar thus far. In 2015 goals from Asechalew Girma and Gatoch Panom gave the Waliyas a deserved two nil win over the Harambee Stars in the CHAN qualifiers. The match will kick-off at 4.00pm local time and will be LIVE on Supersport 9. The return leg is scheduled for Kasarani Stadium, Nairobi Sunday.